Welcome to Day 4 of the Launch Party! When quilting turned into a fulltime job for me, I had to find a new hobby to fill in the evening hours and carpool downtimes. 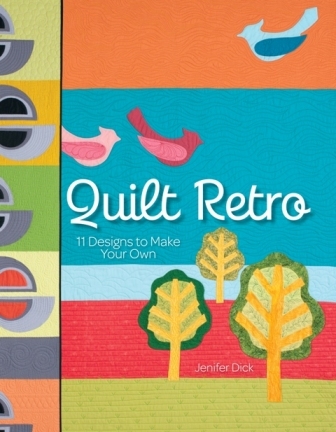 Because, let’s face it – as much as I love quilting, I do need a break from it occasionally! When I first proposed this book to my publisher, I had two or three embroidery projects in it as well. But like all endeavors, sometimes the best-laid plans just don’t work, and in the end and the embroidery was eliminated from the book. So today, I thought I’d show you two of the projects! Here's the original drawing. Remember I work messy, so there's a lot of notes and ideas all on one master plan. If it would have progressed to the book, I would have cleaned this up to reflect what I did on the final project. See how this one says "Queen of the Kitchen"? That's the version that would have gone in the book! And this is my favorite! It's only about 8" x 10" but it says it all doesn't it? The 1" finished pieced blocks on the left and bottom are the Broken Dishes pattern. (Get it?!) I was very funny that day! As a freebie to you, I have provided complete instructions for the "I don't do dishes" project. Click here to access the pattern. If you choose to make this project, please send me a photo of it. I'd love to see your work! Enjoy! Wednesday: TammieSchaffer of Crafty Tammie. Haha! I pinned you freebie on Pinterest. Love it! Umm, in this house I DO do dishes! And I wear gloves, because I suffer from dishpan hands if I don't. I'm only washing for myself, which is not many dishes. You didn't mention a book giveaway. . .please enter me if you are having one. no give away today. But there will be more, keep coming back! Thanks J. Very cute patterns--and I love Linoleum Floors, which I saw on Bonnie's blog. I will be getting your book! Bonnie sent me and these are really cute. I like the 'I don't do dishes' pattern but I am really lucky in my house as my hubby does the dishes! I was here earlier and now again cause Bonnie said so LOL. Cute hand but I would have to make the "left" one as I am left handed. LOL. Bonnie sent me, great pattern!! Bonnie sent me and I think each of my daughters would love one for Christmas b/c they all take after their mom when it comes to dishes. Awww Shucks guys! You're all fabulous! You're welcome here any time! Bonnie sent me, too. Your little project is so cute! Bonnie sent me ! ! ! ! ! I'm one of your new Followers. So far, Linoleum Floors is my favorite, which I saw on Bonnie's blog. Like your projects from the Quilt Retro book that I've read about on this blog hop book tour. Your pattern is cute! Bonnie sent me too. Happy Friday, love the block, and Bonnie sent me too. I found you through Bonnie a few days ago. I think your book looks great! I'm back here visiting again because....Bonnie sent me! Hope your blog tour is successful! You have some great women sharing you! Your book looks awesome. Some really cute ideas.